Assemble the ingredients on a board or platter. 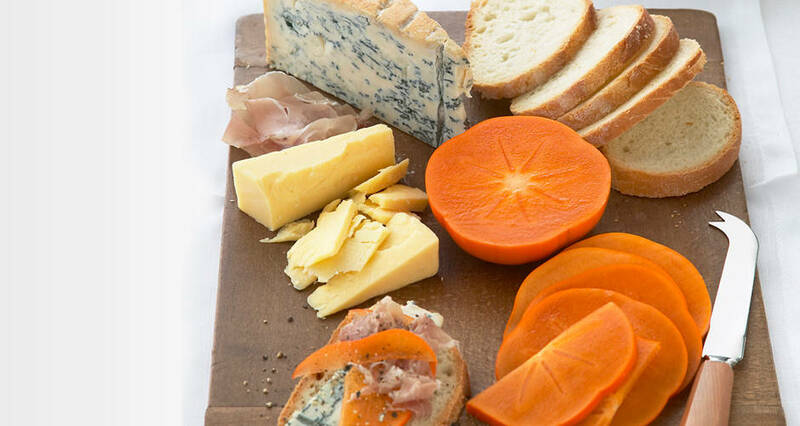 Top crackers or bread with cheese, prosciutto and persimmon slices. Please note: The cheese selection can be varied to include soft cheeses such as brie or a white castello. Good depth of flavour in the cheeses is important to marry with the subtle sweetness of the persimmon.